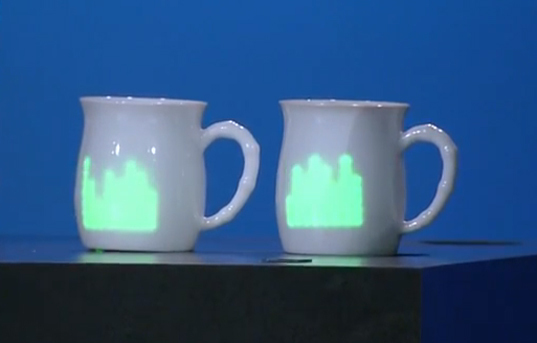 Intel’s Smart Onesie Monitors Your Baby’s Vital Signs and Sends them to Your Phone or… Coffee Mug?! The smart onesie is poising itself to be the baby monitor of the future. Rather than a walkie-talkie model, the onesie links in with the baby’s vital systems. Manufactured by Rest Devices, the front of the onesie is printed with green stripes, which really double as respiratory sensors. Hooking onto the strips is a removable green clip, in the shape of a baby-friendly turtle (in order to mask its real function). 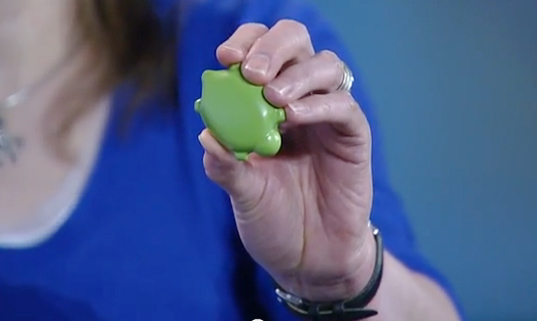 The multi-functional turtle-shaped sensor can monitor the baby’s body position, skin temperature and movements, transmitting all of the information to a parent’s smart phone in another room or entirely different location. The data is processed with Intel’s tiny Edison board, a computer system the size of an SD card. Intel’s CEO Brian Krzanich says that the onesie will allow parents to rest easy, and know everything is okay with their baby, just buy monitoring the data on their phones or the special coffee mug. But whether the sensors and frequencies will have side effects on the baby wearing them remains to be seen. The onesies are beyond the prototype phase and poised to ship this week, at $199 for a starter kit that includes three onesies and one turtle clip. Click over to Engadget for more images. 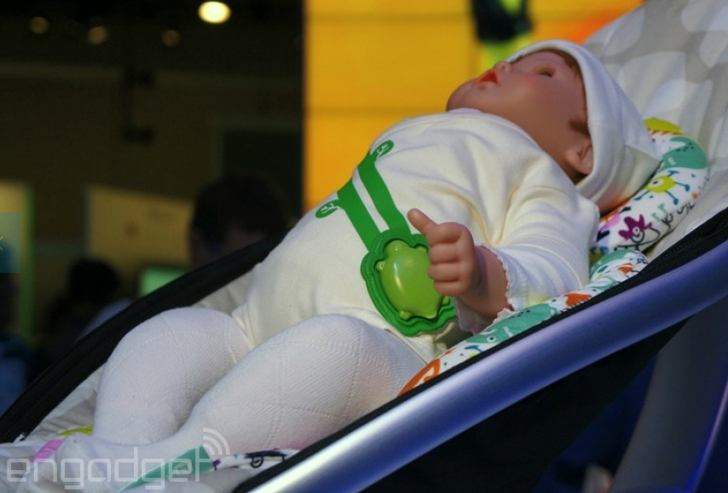 Intel's Smart Onesie Monitors Your Baby's Vital Signs and Sends them to Your Phone or... Coffee Mug?! As reported by Engadget at CES this year, Intel has demonstrated their foray into parenting, by presenting the world�s first �smart onesie.� The cotton onesie is connected to an array of internet connected monitoring systems, allowing parents to keep tabs on their baby�s health from skin temperature to respiratory sensors, with data sent to their smart phone or a special Intel-designed coffee cup. Taking the baby monitor to the next level, will this device encourage a new level of parental paranoia, or save lives? Additionally, what happened to good, old-fashioned picking up or checking on your baby and making sure he's safe, happy and secure with your own two eyes? Do modern day parents really need a device that sends messages to their phone or coffee cup -- seriously? Are developments such as this really "smart?"